Description: A natural central defender who earned a transfer to China with his work for Adelaide United from 2008 to 2012. After a season on loan in Melbourne, he has joined the Wanderers to initially take part in their ACL campaign, with a full A-League contract from Season 2014/15. After sporadic first team appearances he left the club on 30 January 2015. Need to get rid of another foreigner (Adeleke) to fit him in. 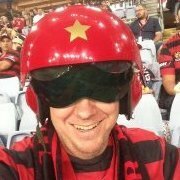 Mullen to the ex-players list now..
A sentiment that I'm sure many WSW fans will share, his part in the fairytale ACL journey will go down in the history books. He might not have that many pages dedicated to him as Vitor Saba but you could say he had a bigger part to play in our campaign than Vitor had pages on this forum!! But ah well, he got an ACL winners medal! Wanderers vs Frontale 1:0 mid March last year. Mullen's first game for the WSW, his first game of football in four months. Frontale seriously outplayed us at times, but the defence held. Mullen made his contribution, and was totally spent when he came off in the 82nd. That's the kind off stuff I will remember him for. He is the football player he is, a Mullen, not a Polenz. It is a shame that it didn't work out but such is life. Wear your ACL winners medal with pride, mate. You deserve it. And I doubt you'll ever forget the welcome at the airport. 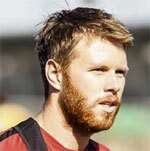 Looks like its Gallaway in his spot..
Former Western Sydney Wanderers defender Daniel Mullen has joined Newcastle Jets until the end of the 2014/15 Hyundai A-League season. Mullen said he hopes to show leadership on and off the pitch during his initial tenure with the Jets. â€œIf I can play the majority of games and perform consistently for the team I will be happy on a personal level, but itâ€™s important that we give back to the fans that have shown so much support to the Club, too,â€ Mullen said. Newcastle Jets mentor Phil Stubbins said he was pleased to reconnect with Mullen who he previously worked with at Adelaide United. "Daniel is someone I know well from Adelaide, I was involved in giving him his promotion to the first team and he came in and had a really good impact on the team. I know the kid, he comes from a good family, I respect his father Joe as a real football person and I am pleased to be able to bring Daniel to the Jets." he said. "I am pleased Daniel wants to be part of taking this club forward and this initial contract will allow us to have a good look at him over the coming 12 games." Mullen trained with his new teammates for the first time this morning and will be in contention for the Newcastle Jets next Hyundai A-League match versus Brisbane Roar on this Friday, 6th February at Hunter Stadium. Good luck to him at Newy. He's gonna ***** need it! He's extended his contract for the next 2 seasons at the jets. Watched a bit of the jets & mullen, he did exactly what he did when he was with us. He'd play a solid game doing nothing to fancy or amazing but switch off in key moments costing them goals. Small margins you may say but you can't afford to make mistakes as a CB cause they usually end up as goals. Did he move up to Newcastle or does he commute? Stupid question but do Aussies count as overseas to the Nix? 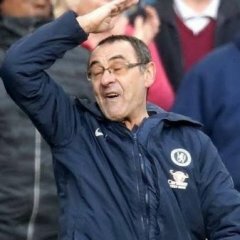 Using a visa spot on a average centre back, isn't great. Aussies do not count (neither do Kiwis, whereas they do in Aus). Except for Storm Roux at the sea bogans. I assume that's because he played youth football in Aus? Barbarouses is considered a foreigner.